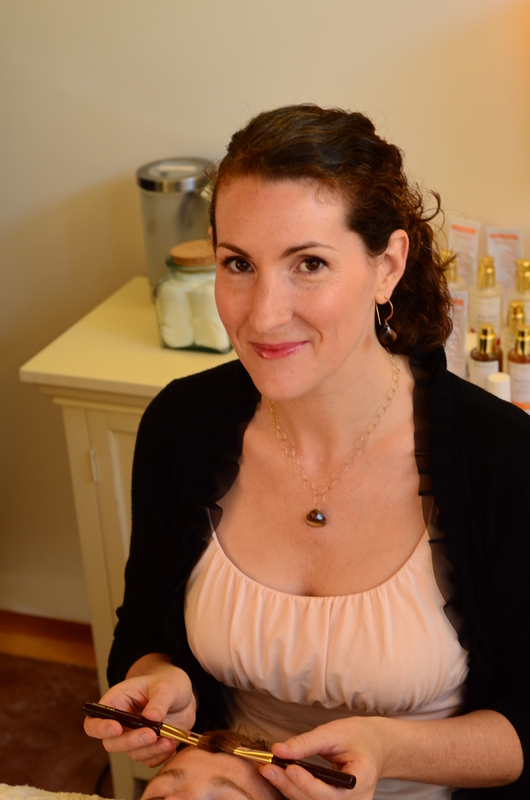 Evelyn Braddock has been educating clients on the benefits of holistic skin care for 15 years. One of 250 trained Dr.Hauschka Estheticians in the Untied States, Evelyn has worked as an assistant to the trainers at Dr.Hauscka Esthetics Trainings throughout the country as well as starting her own holistic day spa in Sebastopol, California. To enhance her knowledge of plant medicine, she studied at the California School of Herbal Studies in the Roots and advanced program. Promoting holistic treatments of natural, pure skin care such as Dr.Hauschka, Galen’s Way and the Evelyn Braddock Skin Care line, she is committed to teaching people about the true healing nature that is provided to us from the botanical world. A love of art, color and beauty has evolved into a passion for makeup artistry as well. Trained with the Jane Iredale Mineral makeup as well as Dr.Hauschka Decorative Cosmetics, Evelyn offers makeup lessons and Wedding services for her clients. Using pure mineral makeup to compliment the beauty of her customers while maintaining clean pure ingredients is most important to this holistic practitioner. Waxing and custom skin care products. I so enjoyed my facial yesterday and feel happy to have found a “skin care advocate” at last, after a long time.